When the Chromecast SDK was finally released to the public earlier this month, we knew right away that we were going to see some cool things. One of the first things to be released with this new SDK was Koush’s updated AllCast app that allowed local media streaming. It seems he isn’t done just yet though, and released a short video teasing screen mirroring from your Android device to the big screen. 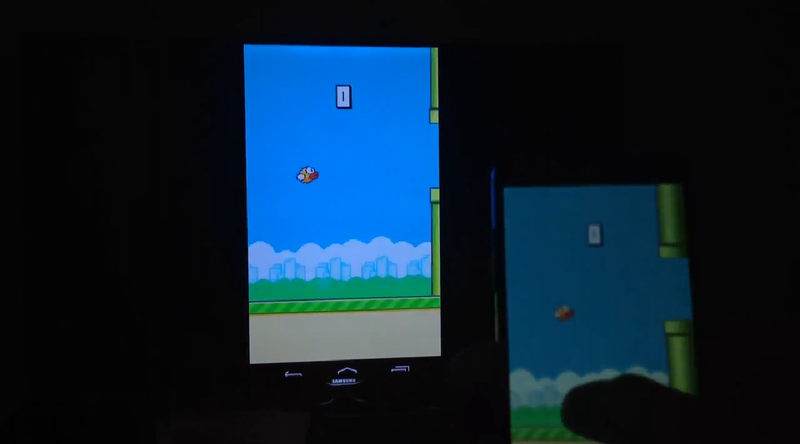 Koush took to his Google+ page to post the short video that features him firing up Flappy Bird (rest in peace), and then throwing it to his TV and being able to play in near real time. In theory, this could turn your TV and Android device combo into a home gaming center. Details are scarce at the moment, but we expect to hear something more official within the coming days. Would you want the ability cast games from your phone or tablet onto your big screen TV? LG Holds Korean Launch Event for LG G Pro 2, Unveils "Knockcode"